Saskatchewan has one of the fastest growing populations in Canada. The province has the food, fuel and fertilizer that the world needs, and its abundant natural resources place it at an advantage in various economic climates, helping it ride out global economic cycles. Manufacturing is an important part of Saskatchewan’s economy. The sector accounts for seven per cent of the province’s Gross Domestic Product (GDP) and is currently experiencing one of the highest growth rates in the country. In the 10-year period from 2007 to 2017, Saskatchewan’s manufacturing shipments increased by 53 per cent, totaling $16 billion in 2017. Some of the industries that have experienced manufacturing increases recently are wood products and machinery. In addition, food and fabricated metal manufacturing are also driving opportunities for Saskatchewan manufacturers. Annually, Saskatchewan exports more than a third of the world’s durum wheat, as well as pulses, oilseeds and products from a world-leading agri-value industry. The province also produces a fifth of the world’s uranium; 90 per cent of this is exported, while the remaining 10 per cent is used to fuel Canada’s nuclear reactors, generating 15 per cent of its electricity. As well, with 45 per cent of known global potash reserves, Saskatchewan has the largest potash industry in the world. Existing producers in the province have undertaken major expansions, while other mining companies are developing new operations in the province or have announced intentions to do so. In addition to its high-quality agriculture and mineral products, Saskatchewan is Canada’s second-largest oil-producing province and the sixth largest in North America. It is home to a significant portion of the Bakken Formation, one of North America’s largest oil plays. The province also remains a leader in petroleum research, particularly in the areas of enhanced oil recovery and horizontal drilling, helping to get more oil out of the ground, sustainably. These and more have contributed to Saskatchewan’s manufacturing success story. It is no surprise that between April 2017 and April 2018, manufacturing sales increased by 16.2 per cent to a value of $1.53 billion. Saskatchewan is a leader in innovation, applied research, development and technology commercialization. The province is home to a research cluster that includes the Canadian Light Source synchrotron, universities, research institutions and its Innovation Place research parks with locations across the province. 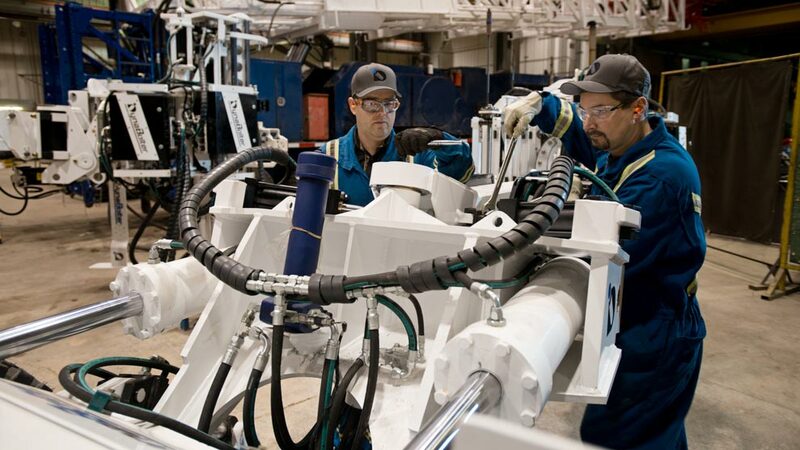 Increases in Saskatchewan’s resource sectors have created huge supply chain opportunities for manufacturers and service providers in the province. Saskatchewan also produces advanced engineering and manufacturing technologies for the aerospace, defence and precision agricultural markets and is forging ahead in clean-coal power generation, unmanned aerial vehicles and nuclear science. Supporting Saskatchewan’s diversity of sectors is one of the most competitive business environments in North America. Major utilities, including power, are provided by the province, ensuring stability in these costs. Saskatchewan also has a very competitive tax structure, including: corporate income tax as low as 10 per cent on manufacturing and processing profits, the lowest in Canada and this can be lowered to six per cent upon qualification for the Saskatchewan Commercial Innovation Incentive; manufacturing and processing exporter hiring tax incentives; a six per cent refundable investment tax credit on manufacturing and processing equipment; provincial tax exemptions for eligible machinery, equipment and materials used during the manufacturing process; no corporate capital tax; no payroll tax; and so much more. The province’s central location gives it easy access to domestic and offshore markets, which can be reached through its excellent road network and rail transportation services. A steel mill is also located in the province, giving local manufacturers direct access to steel supply for their products. All these advantages and incentives make the province a prime choice to locate business headquarters. In addition, Saskatchewan’s abundant resources and commitment to growth continue to make it an excellent place to live, raise a family and operate a business.